At the Paris Motor Show 2016, Honda showed a tiny electric car. 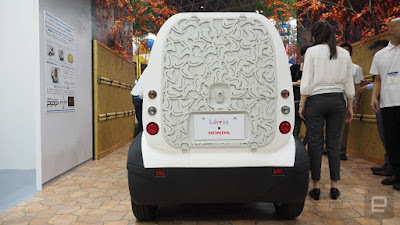 Interestingly, some of the car panels and components are made using a three-dimensional printer. It’s also as yet unnamed, but will make its full debut at the Japanese tech exhibition, CEATEC 2016. This car can be used to haul a lot of stuff because there is spacy room in the back or it could also be used to accommodate up to three people. 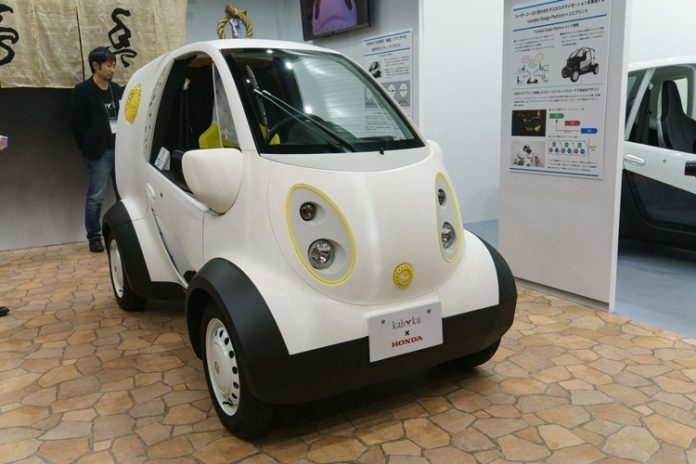 Not only that, the car can also be used by the elderly because it is small and very easy to drive. The Honda's tiny electric car relies on an electric motor. And declared cruising range is claimed to reach 80 km. Interestingly, the news just three battery packs. Main is located in the bottom of the zone and it provides around 65 km of the total mileage on a single charge. Two more battery units are installed in the cockpit (on the left and right of the driver’s seat). These modules provide a power reserve of approximately 15 km. And they are removable, allowing you to easily take them on an additional charge, for example, in the office. As quoted from Engadget on Thursday, October 6, 2016, the design of this car took a lot of the design of Honda's motorcycle division, including the use of vehicle frames of a strong but lightweight pipe. A Japanese tech company Kabuku also involves in the car development. One of the Kabuku panel's work is a three-dimensional bird motifs on display in the back door, doors, and seats. 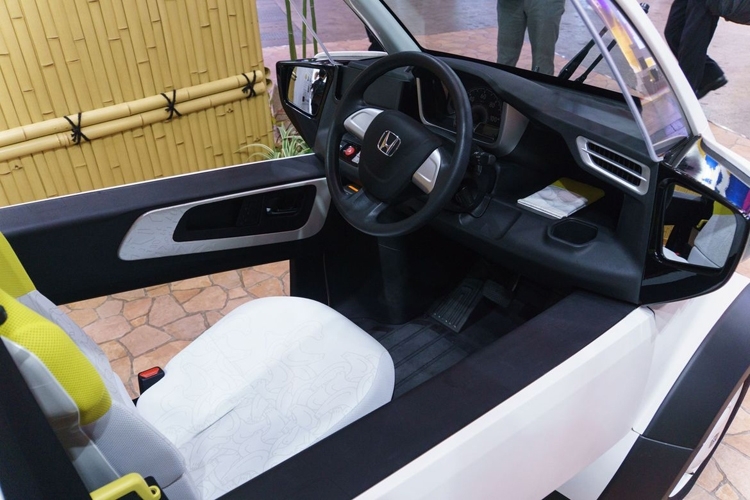 This car is the first step of Honda to use more components of the three-dimensional printer in the vehicle. In the future there will be more three-dimensional components.